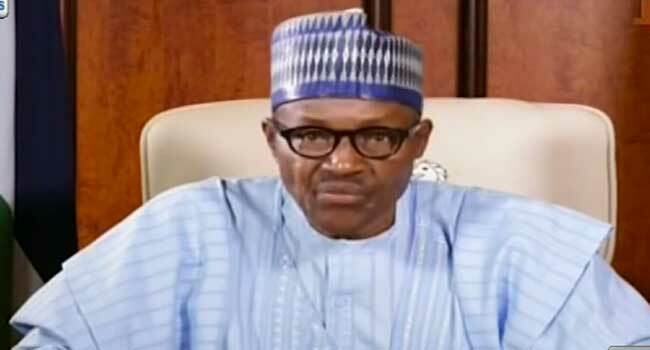 President Muhammadu Buhari says he is determined to get to the root of the fuel scarcity in the country and prevent those behind it from inflicting hardship on Nigerians again. The President said this in his New Year broadcast on Monday morning, while welcoming Nigerians to 2018. “I am saddened to acknowledge that for many this Christmas and New Year holidays have been anything but merry and happy. Instead of showing love, companionship, and charity, some of our compatriots chose this period to inflict severe hardship on us all by creating unnecessary fuel scarcity across the country,” he said. As a result of their actions, many Nigerians ended up spending the Yuletide on queues in search of fuel and could not travel. Those that travel had to pay exorbitant transport fares, which in turn saw the price of goods soar. “This is unacceptable given that NNPC had taken measures to ensure availability at all depots. I am determined to get to the root of this collective blackmail of all Nigerians and ensure that whichever groups are behind this manipulated hardship will be prevented from doing so again,” the President said. Beyond the fuel scarcity, President Buhari reveals his plans for infrastructure development in the country, especially the plans of his administration for rail transport, power generation, and distribution, and his government’s approach to the issue of restructuring in the country. He also assured Nigerians that the security of lives and property remains top on the agenda of his administration.